My curiosity went through the roof the moment I laid eyes on the new cover of Macbeth from the Pelican Shakespeare series. 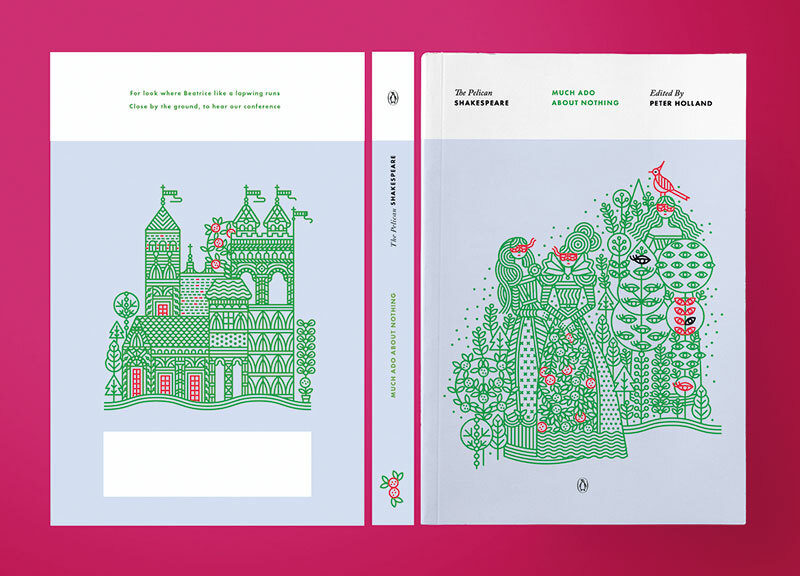 Its linear, graphic style loaded with symbolism is unlike any print rendition of the bard’s plays. How does one encapsulate the spirit of such iconic works that have been presented over and over again, usually with a portrait of the man himself or an inconspicuous watercolour? With fearless gusto and a fresh vision by graphic designer Manuja Waldia. 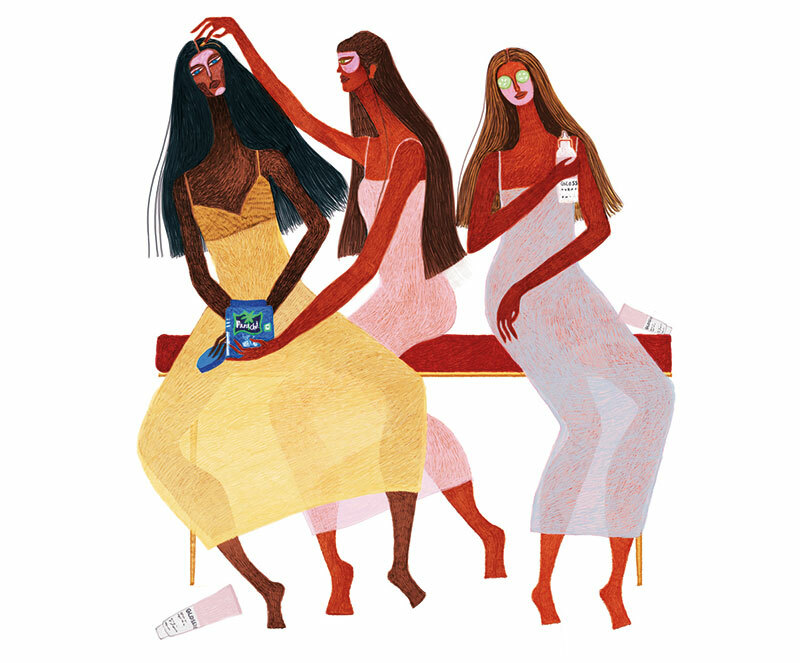 Still in her mid twenties and having worked in the field for just three years, India-born, Indianapolis-based Waldia is already an award-winning illustrator with a substantial body of work. Her art is diverse, each project unlike the next — an uncommon trait for most designers today, who take great efforts to define their style. She jokes that she might have multiple-personality disorder, but on going through her portfolio, that may not be such a bad thing at all. “I have always had a natural inclination and aptitude towards drawing, painting and crafts,” Waldia explains, recalling that her first encounter with design took place when she was placed in charge of all the display boards at her school. 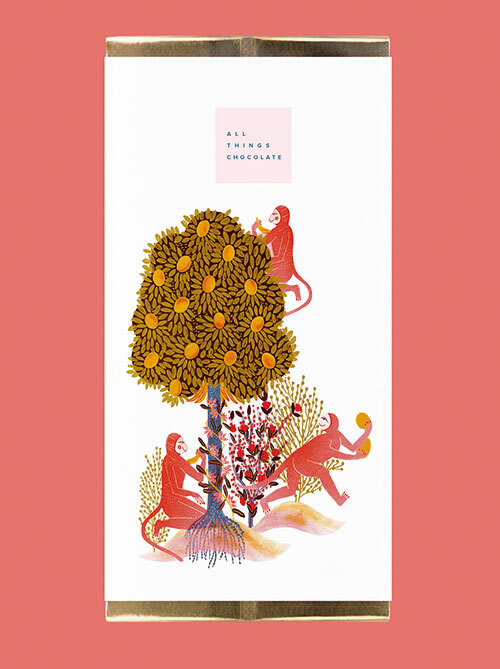 She went on to study communication design at NIFT, New Delhi and at the Milwaukee Institute of Art and Design before seriously pursuing her love for illustration while simultaneously working a day job. “It took a lot of training to hone my skills. I started the Daily Icon project to practise the monolinear illustrative style which, now, I am using for the Pelican Shakespeare covers.” It was this personal exercise on her website that caught the eye of Paul Buckley, creative director of Penguin Classics, who got in touch with Waldia. “Working with him has been the highlight of my journey so far,” she gushes. “He’s an amazing art director and person, and it’s a once-in-a-lifetime opportunity.” Now, she’s focused on a more painterly project, titled Self Care, which is an ongoing series on femininity. 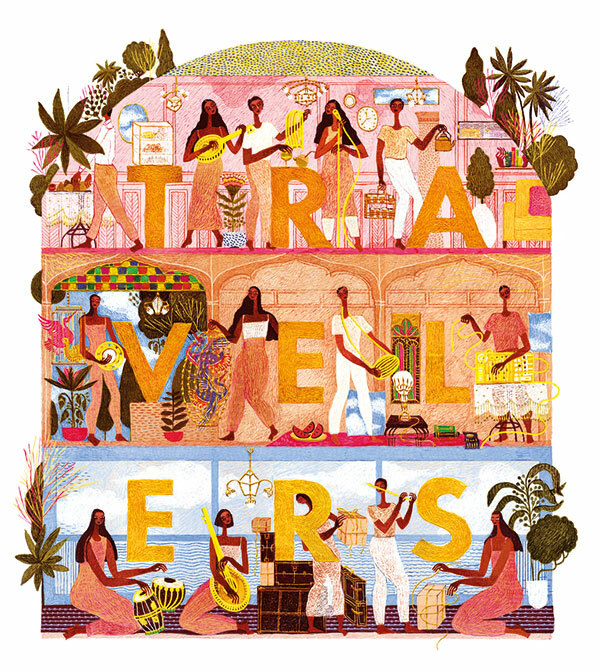 Another series I immediately fell in love with is called Matriarchal Memories — which won the annual Society of Illustrators award in New York in the non-commissioned category — that she describes is “based on my past and present experiences as a ‘brown’ woman. Some are from memory, some fantastical”. Fierce women are depicted in vibrant environments, in an illustrative style that is carried over to her album cover for Dosti Music Project, an initiative of the U.S. Embassy in Islamabad to bring together Pakistani, Indian and American musicians. It’s evident that Waldia’s Indian heritage influences her work immensely, particularly mythology, popular culture, Bengali cinema, miniature art and textiles. 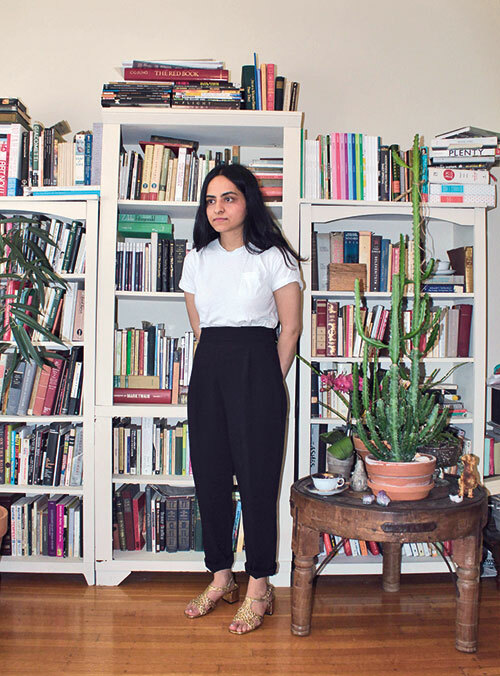 She likes drawing girls and is most inspired by Shyam Benegal’s movies, especially Mandi (1983) and Bhumika (1977), and divides her time between poring through magazines and books, creating art and working on the ongoing Pelican Shakespeare series (which includes a total of 40 titles). “The weird parts of Bollywood fascinate me,” she quips. “I use YouTube recommendations to watch rare Hindi films. Some of them have terrible storylines, or glaring technical flaws, but beautiful shots, surrealist influences or excellent colours!” Her love for the traditional is perfectly balanced by her awareness of and respect for the digital revolution and its effects. Admitting that she’s terrible at updating her portfolio, she expounds that social media provides a quick and accessible way to present her work. Waldia also acknowledges that being able to easily network with people online has, in a way, democratised art by making it accessible to an infinite audience. The flip side, however, is the expectation for an artist to keep playing their ‘greatest hits’…because that’s why the audience is following them. “Selling out post internet fame is common; preserving the artistic spirit of experimentation or innovation is difficult.” If you take a look at her Instagram account, though, you’ll see she does the latter quite well. I carefully unwrap one of her ‘creations’: packaging for All Things chocolate, featuring impish monkeys stealing mangoes from a tree, so as to pin it on my softboard later, as she lightheartedly hits me with her unique brand of sarcasm by adding, “My self-worth is completely wrapped around how many likes I get….” One thing’s for sure, Manuja Waldia can never be called boring.